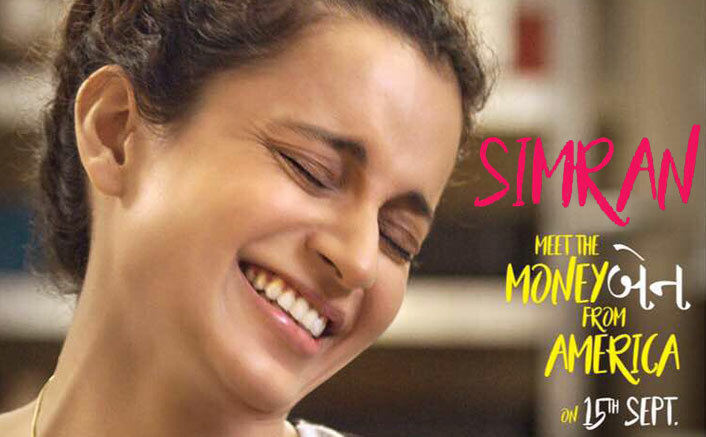 Kangana Ranaut's much talked about movie Simran finally has its teaser out. Kangana’s charm stole our hearts right away & the expectations are definitely through the roof with this one. SIMRAN, directed by Hansal Mehta and produced by Bhushan Kumar, is based on the life of Sandeep Kaur, an NRI nurse based in the US who was arrested on charges of multiple bank robberies in 2014. Apparently, she did so to pay off her gambling debts. She became quite infamous and was being called The Bombshell Bandit by many. The story definitely seems catchy and the teaser looks entertaining. Also, don't forget to check out the stunning poster with Kangana looking drop dead gorgeous and simply a stunner...All hearts out!! With stellar performances under her belt like Queen and Tanu Weds Manu, Kangana has already established herself as the queen of Bollywood. And with Simran, Kangana might as well prove to be the ultimate game changer. According to reports, Kangana is also the co-writer of the film. Even with all the controversies doing their rounds around her, the Queen of Bollywood seems unscathed and stronger than ever. And with SIMRAN coming out in September let's hope she blows our minds and makes us fall in love with her... Again!